Dream. Dress. Play. : Make It Monday! 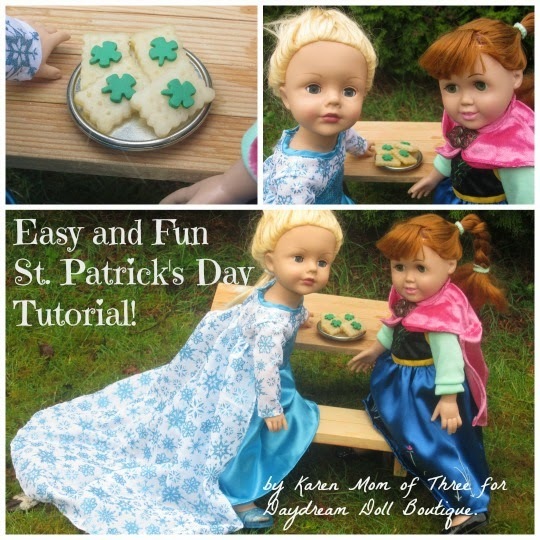 Let's Make Shamrock Shortbread For Your Dolls! Make It Monday! 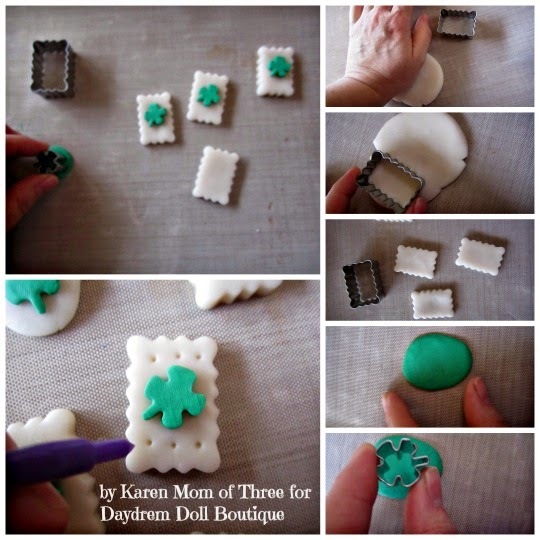 Let's Make Shamrock Shortbread For Your Dolls! Step 1- Assemble all your supplies and cover your work space. Pre heat your oven to the recommended setting on your clay. Step 2- Open and work your lightest color of clay first. I rolled and patted mine by hand. Press it out and cut out your 4 "shortbread" cookies. Don't worry if you have a tiny bit left you can use that to make one round shortbread to enjoy or share with a dolly friend like I did. Step 3- Once your four cookies are cut out. Work a small amount of green clay into a flat circle like mine. Use your small shamrock cutter to cut 4 (or 5 if you are doing a round cookie) and lay them in the middle of your shortbread. Press them gently into place. Step 4- Use the pointed end of your tool to make the holes in your short bread. Step 5- If you are using the work and bake mat you can place it and the tray in the oven to bake. If you are using paper you will have to transfer your cookies into place on a oven safe tray and then bake them. 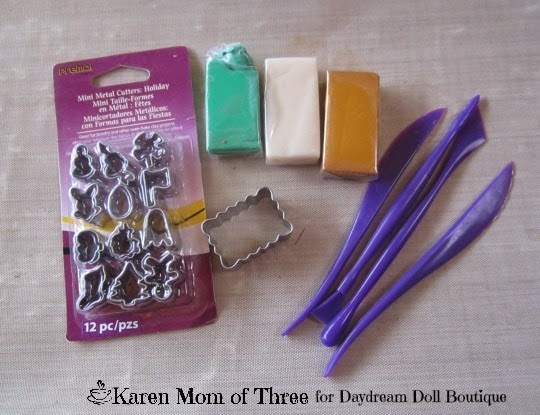 Step 6- Bake them according to the directions on your clay, remove them from allow them to cool then they are ready to give to your dolls! I hope you enjoyed today's Make It Monday Craft! My Dolls sure did! 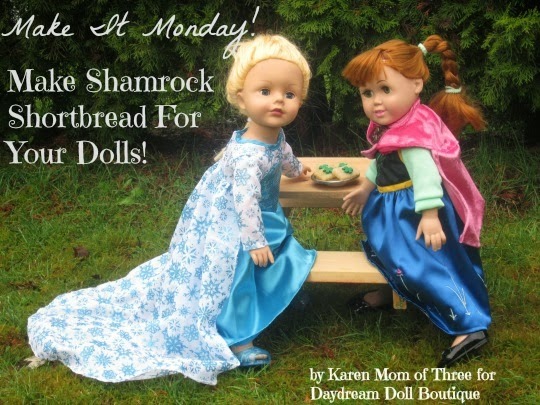 They are thrilled with their new outfits from Daydream Doll Boutique's Frozen Shop! Check out all the Frozen themed outfits in shop by clicking here. How cute and perfect for St. Patrick's Day! Thanks, we love Karen's creative ideas !